IGI understands that change is a valuable tool for creating great products. IGI uses the agile methodology and is responsive to quick changing business / clients needs. We can help you to achieve your business goals by driving better performance of your IT needs through efficiency and cost effectiveness. We have specialized application developers who work closely with our customers on building effective apps as per their demand. IGI can help you transform your Legacy applications to new/modern technology. Over the years as technology has evolved, so has our clients. With these changes in mind, IGI is very conscious of understanding the demand of the needs of today – and future needs – of our clients. IGI offers a wide range of services across the entire life cycle of a software application. We use agile practices both in software development and in project management. It is very important to visualize the scope of the project and the project schedule, orchestrate the integration and testing process, and enforce adherence to agile processes. We understand the project schedule and see the scope both of the entire project and of each iteration within the project. IGI is a leading professional application development company in India. App development has never been as big as it is today. We are committed to using the best and latest technologies, such as Open Source Technology, .NET, PHP, Java, AJAX and XML, to ensure the delivered custom software solutions are secure, stable and scalable. 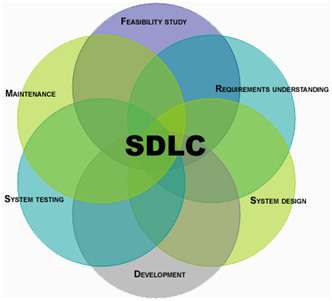 We follow a specific software development methodology and oversee the full Software Development Life Cycle (SDLC) delivery process. Each Industry has its own unique challenge that often is not met by custom off the shelf products. The need for building a custom solution may be driven by the operational dynamics of the business, the market niche of the company, the need to have the competitive edge or innovative methods to provide services. IGI has the technical ability to be the partner of choice. Our custom software development solutions cover a wide range of flexible offerings. They are driven by teams of skilled resources that analyze the business dynamics and technical requirements creating appropriate technical solutions. Web solution, exchanges, portals, etc. Infotech Global’s expertise in the multitude of vertical and technical domains has strongly positioned us to deliver scalable, robust, secure and easily maintained applications. Infotech Global ensures that the solution deployed has the best architecture and is implemented with industry best practices. Corrective Maintenance involves the repair of defects that prevent an application from producing correct results. It includes production problem fixes and repairs to abnormalities that interfere with the completion of a process. Adaptive Maintenance addresses the ongoing enhancement of applications to meet changing business requirements. It ensures applications evolve to keep pace with constant change, whether market-driven, technology-driven or regulatory in nature. Preventive Maintenance focuses on the repair of inherent application defects to minimize the risk of recurring problems undiscovered. Preventive maintenance can be both corrective and adaptive in nature. Application enhancements include planned functional releases in line with the product life cycle. The enhancements are long-term, planned product releases and typically including maintenance plus development, Service Level Agreement (SLA) and compliant work requests. These work requests are adhered as per the SLA and evaluated on capability baseline matrices. This continually improves the response time for clients. Infotech Global has a well defined, resilient model for 24 X 7 X 365 support to measure critical real time applications for its customers. As businesses have acquired other businesses, or various new technologies and applications, a need has developed to provide inter-connectivity between disparate systems. Infotech Global addresses this need by building connectivity and integration solutions for its customers. Infotech Global draws from its core technical expertise from the healthcare industry and extends this domain knowledge to build seamless solutions. Infotech Global has built integration solutions for client / server applications, legacy systems, web application and various combinations in complex technical environments. These services are rendered from our facilities in the U.S. as well as in India. An application's success is measured by user satisfaction and adaptation. Applications that are most successful with user communities deliver minimal errors and adhere to user needs. Testing an application against the business needs and requirements initially set forth as goals and determining its adherence to the need is a critical step to ensure user adoption. Infotech Global offers dedicated testing and quality assurance services to its customers. We have partnered with Rational and Segue to provide focused services for testing and certifying applications. The Infotech Global Testing and Quality Assurance Team is a dedicated independent team assuring autonomy. Infotech Global offers dedicated, highly trained testing teams that work as an extension of internal design and development teams to undertake and execute the entire test cycle during application development. Offshore test execution also take advantage of time zone differences to shorten the release cycle.